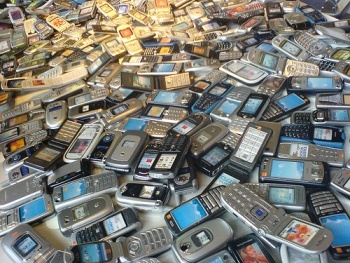 According to a recent study by Mformation, 85% of people find their cell phones to be too complicated. 4,000 people were interviewed in both the UK and U.S. for the survey, and 61% said that just getting a new phone to work was as difficult as changing bank accounts. 85% were frustrated by the whole experience and a staggering 95% said they'd love to try new services, as long as the phone wasn't so complicated. 61% of people will not even retry a function if it fails the first time. Just like in real life, first impressions really count. According to Mformation's spokesman, Matthew Bancroft, "There is an enormous range of things modern phones are capable of doing, but the paradox is that many people are not using these capabilities." Setting up a mobile phone should only take 15 minutes, according to Bancroft, but most users hack away at it for over an hour. He added that with the extra processing power, a "helper" could be added to anticipate what needed to be done and provide it for the user. Let's just hope it's not that paperclip again.